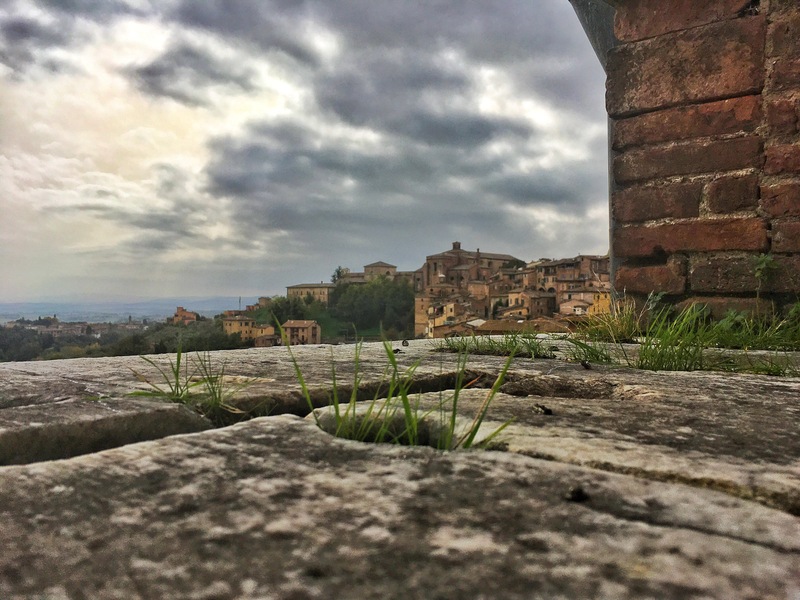 Seeing Siena. | In Florence. A Firenze. Siena is somewhere I have been desperate to see for a long, long time. Every time I’ve been to Italy on family holidays, university visits, or travelling by myself, I’ve never quite managed to make it. I’ve seen most of the cities surrounding it, but somehow it has always evaded me. 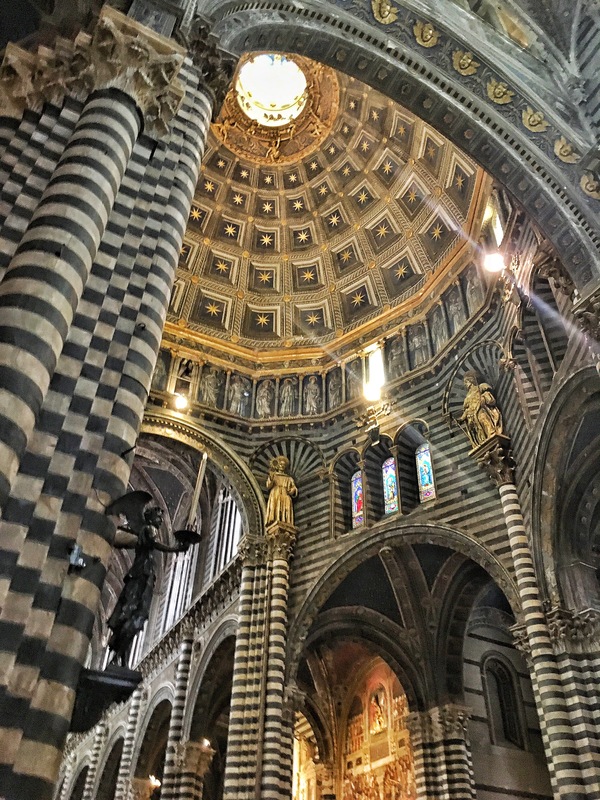 My parents came to visit, which gave me the perfect excuse to plan a day trip to the see the wonders of Siena. So that is just what we did. We chose to take the bus, rather than the train, as the bus takes you right into the centre of the city, while the train station is further out. Be warned, there are two types of bus you can take; one is a little slower, although only by about 20 minutes, and the journey is never more than 1 hour 30 minutes. Bus tickets are around €15 for a return, which is very reasonable, even on a student budget (although I admit, this was my dads treat). As soon as we stepped off the bus, I instantly felt how different the atmosphere was, compared with Florence. There were half as many tourists, the air had a freshness to it, and although it was busy, you got a sense of calm that often gets lost amongst Florence’s packed streets. Once I’d had a second to take this in, we set off for the Palazzo Pubblico, home to the city’s municipal offices. I’d been told by a friend who lived in Siena, that if there was one thing I must visit whilst in the city, it was the Palazzo. The whole building is filled with the most fantastic frescos; every wall is covered in them. Rather than telling you more, I thought I’d show you with photos, because I’m not sure I could do their beauty justice with words. We got a bit carried away in the Palazzo Pubblico, and ended up spending a good couple of hours taking in its beauty. This wasn’t really a problem, as I’d originally planned to only do two things whilst there, because I wanted to do them well. Our other cultural stop for the day, was the Duomo. This stunning building is hard to miss. It dominates the piazza it sits in, as well as the rest of the city, as it’s positioned on a slight hill. The interior is vast. When you enter through the two-person high doorway, your eyes have no clue where to look first. Every single surface is decorated. The pavement is a full of intricate marble designs, the walls are built in stripes of stone, and a whole party of statues are thrown into the mix as well. The main body of the church isn’t the only thing to see. 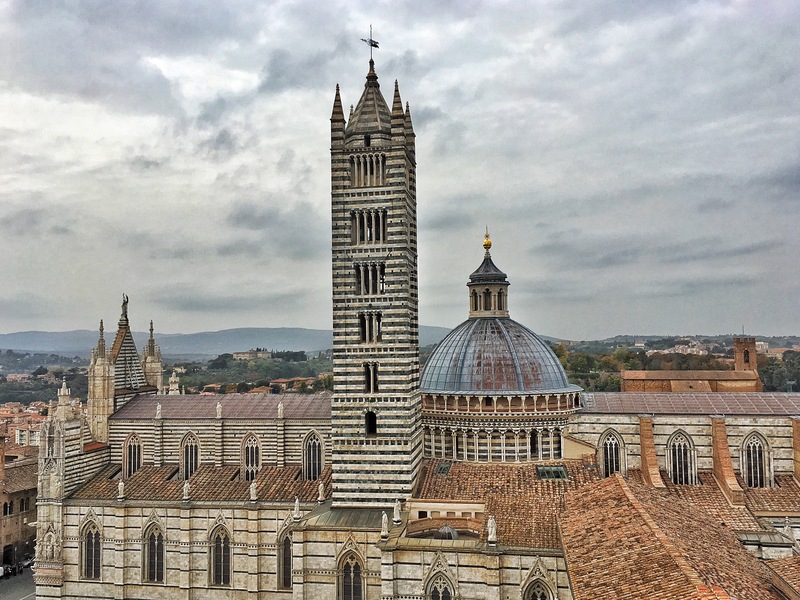 There are the frescoed crypts, the Piccolomini Library filled with magnificent Graduals and Antiphonaries, the museum which holds Duccio di Buoninsegna’s spectacular Maestà, and the Baptistery of San Giovanni. Trust me, when I say you need a good couple of hours to really enjoy the marvels this gem has to offer. Florence is a fantastic city, but sometimes it is good to go outside its city walls, and explore. You have no excuse when these fabulous cities are a short – and easy – trip away!